﻿ Compare.com | What Should You Do in a Single Car Accident? Home Auto Insurance Guides What Should You Do in a Single Car Accident? What Should You Do in a Single Car Accident? When you’re driving, what freaks you out the most? Maybe you’re scared of texting teenagers or drunk drivers, or sleep-deprived truck drivers sideswiping you. As it turns out, the driver you should fear most is… you. While 96 percent of drivers fear they’ll be hit by a red-light runner, and 86 percent fear a collision with a distracted driver, more than half of traffic deaths nationwide happen in single-car accidents. So, why are single-car crashes so common? And what causes them? A run-off-road crash happens when a car leaves the travel lane, ends up on the shoulder, median or goes off the road entirely, and then hits something or overturns. This is the most common cause of a single car accident, making up 64.4 percent of all the single-vehicle crashes in a two-year period analyzed by the National Highway Traffic Safety Administration. If you’re in a run-off-road crash, there’s a good chance it’s your fault. Around 95 percent of these crashes are caused by something the driver did (or didn’t do) — not bad weather, or a mechanical problem with the car. Some of the most frequent causes: being distracted, overcompensating, going too fast on curves and falling asleep at the wheel. Rollover crashes are “particularly violent in nature,” the NHTSA says, and almost all (85 percent) of rollover-related fatalities are the result of single-vehicle crashes. 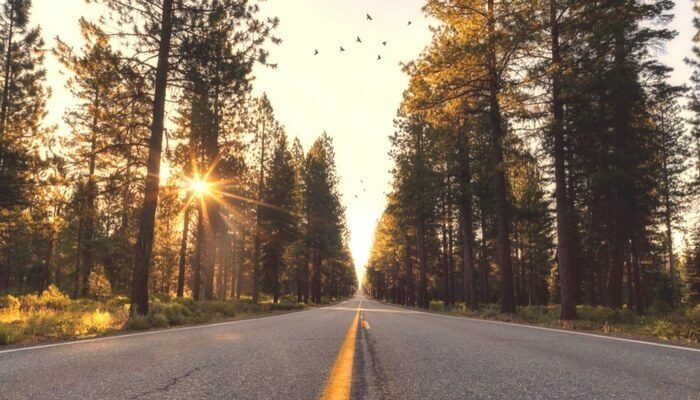 Speeding and and/or alcohol are often involved, and almost three-quarters of fatal rollovers occur in rural areas with a high speed limit, 55 mph or more. Car makers and government regulators know rollovers are a problem, especially with SUVs. That’s why rollover accidents forced manufacturers to change cars’ design in recent years. Regulations now say car roofs have to withstand a force of 3 times the vehicle’s unloaded weight. (For heavier SUVs and trucks, it’s 1.5 times the vehicle weight.) You may notice that newer vehicles have beefier pillars holding up the roof. 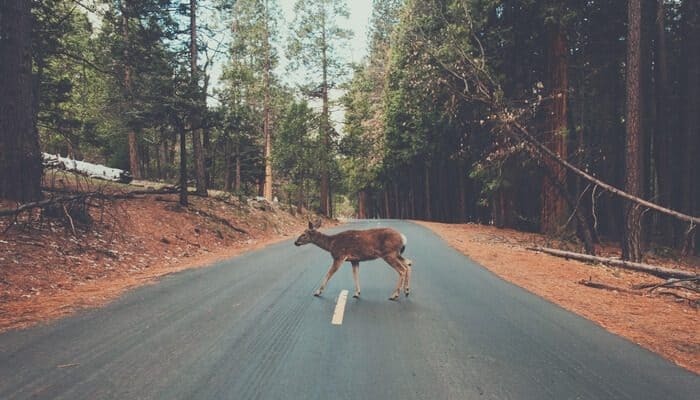 Single vehicle collisions with a deer are more common than you might think, especially if you live in West Virginia, Montana or Iowa — the top three states for insurance claims related to a collision with a deer, elk or moose. While a white-tailed deer may look like a fragile woodland creature, it weighs about as much as a person. An adult male weighs 200 pounds, on average, and an adult female weighs around 150 pounds. In collisions with deer, a car can sustain a lot of damage: the average claim comes in just under $4,000. To avoid single-vehicle collisions with deer, be especially wary at dawn and dusk, when they’re most active, and in the months of October, November and December. If you see tell-tale eyes glowing in the woods along the road, slow down. Where you see one deer, there are probably many more. What should you do after a single-car crash? When you’re involved in an accident with another driver, a complicated ritual ensues. You check your cars; you exchange names and information; you never say “I’m sorry,”; you tell the police officer your version of events, etc. But what about a single car accident? When you’re the only one involved in a crash, you need to act quickly. First, assess your own injuries. Can you move? Are you bleeding? If you’re not sure how badly you’re hurt, call 911 to get checked out. Next, assess your safety. Is your vehicle totally out of travel lanes, away from oncoming traffic? If not, move it (if possible) or get out of the car and walk to a safer location. Don’t forget to turn on the hazard lights and use flares, if you have them. Then, call the police — yes, even for a single-vehicle crash. It’s important to have an official record of what happened. Did you swerve to avoid another driver? Were there potholes or other problems with the road? Be your own witness: Take photos of the scene and write down the time of day, the speed you were going, any hazardous road conditions or problems with your car you observed. Don’t forget to consult our claims checklist to make sure you have everything you need. Will insurance cover a single vehicle accident? That depends. If you collided with an object or an animal, like a tree, a guardrail or a deer, or if you had a rollover accident, collision coverage should pay for the damage to your car. It will probably be considered an at-fault accident, which means your premiums may go up. If you have personal injury protection (PIP) coverage, it may cover some of your medical expenses after a single-car crash. If a passenger’s hurt in a single-car accident, he or she can make a claim against the driver’s insurance policy, even if the driver is a family member.